Attractive living in the heart of town! The peace of the church and the sociability of the stores. It is a spacious three bedroom apartment built in 2010 with a surface area of approximately 86m ², located on the second floor and available immediately. It is classified with a very spacious living room with a woodlook vinyl floor with an open kitchen. The double doors at the rear of the living room open onto a terrace of over 30m ². The apartment has 2 bedrooms of decent size, bathroom, separate toilet and a berg-/wasruimte. Alternatively, the (anthracite gray) curtains you see in the photo be taken for a reasonable amount of the previous tenant. There is a closed private garage for each apartment with an enclosed storage and a private, spacious parking lot. The parking spaces are located in the exclusive parking garage under the apartment block. In addition to the storage room in the house itself, all apartments have a separate outside storage for bikes, tools and such. The storage spaces are located in the parking garage and are accessible by elevator. 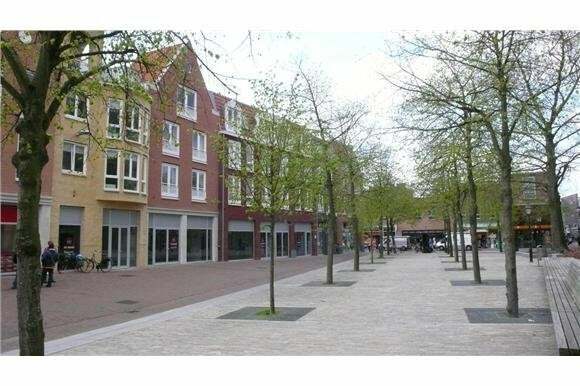 The service cost are €55,- a month and €75,- for parkingspace is exclusif the rentalprice.